Another brilliant EP from DJ Pooch this. Side A is a wicked beat mash of Quadrophonia stabs, pianos & synths, timestretched vocals (the old classic 'Hey YayYeeeaah') - was remixed heavily and beefed further with T99 choirstabs in Volume three, but this is an excellent original mix. Side AA is basically a rough '93 amen-heavy mix of the classic 'New Science EP' by DSKF released in 1992. 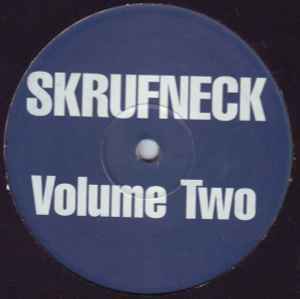 Pooch has taken the classic elements of tha track - the amazing piano section that got many a '92 raver to go crazy (wihtout ever knowing the title), the echoed stabs and vocals, added deep subbass, beefed the backing and beats to give it a faster '93 feel without turning it into a 'chipmunk special' - great EP.